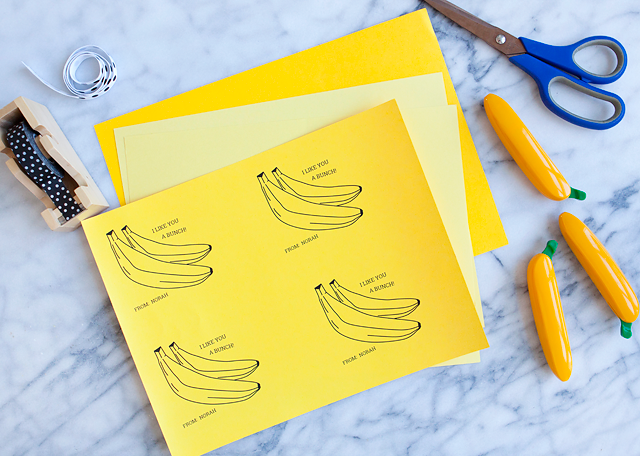 I have one last Valentine printable to share with you today. 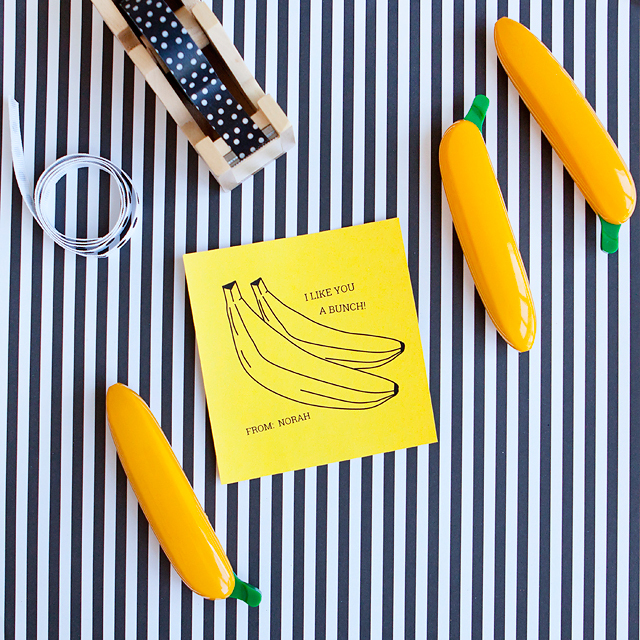 My friend Kersey gave me one of these rad banana pens, at Alt Summit a few weeks back. 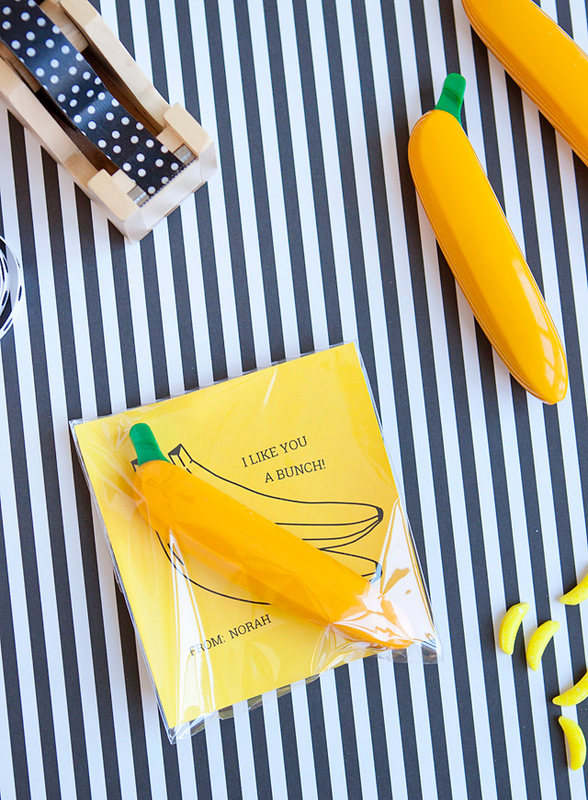 I tracked them down because I knew they would be a perfect little something for my kids to give to their friends at school for Valentine’s day. 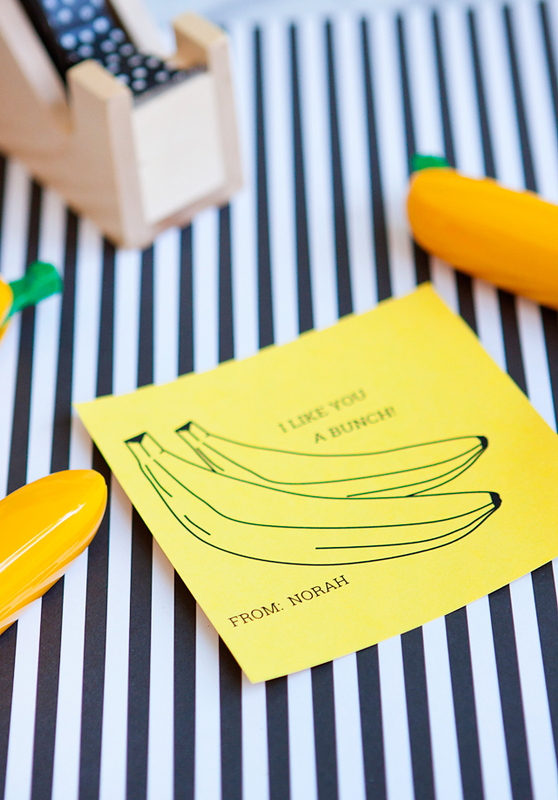 I love to give out non-candy class Valentine’s, since there are so many food allergy nowadays, so an allergy free Valentine is a great option too! 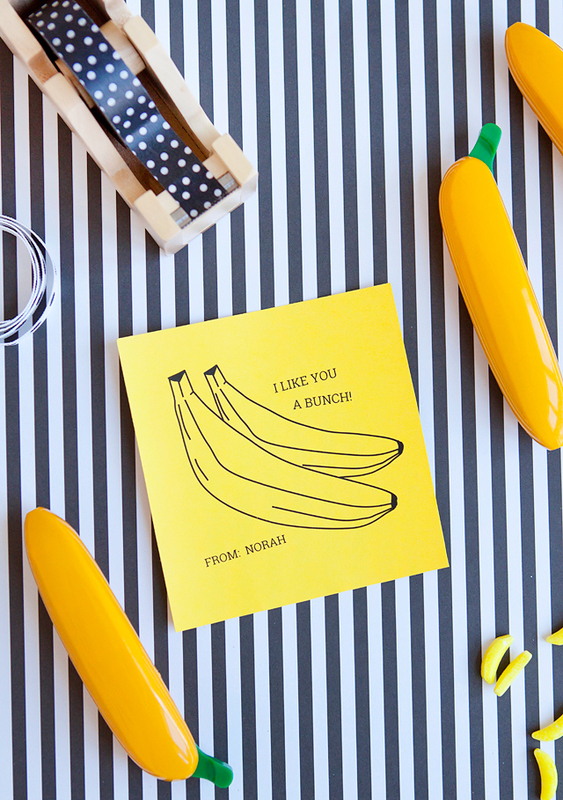 1) Print the free PDF download for the Banana “I like you a BUNCH” Valentine onto yellow card stock paper. Click here to download. (please let me know if you are having trouble downloading the printable) -Just a reminder that these Valentine Printables are for Personal Use only. You may not sell these for money or alter. Copyright Armelle Blog 2015. 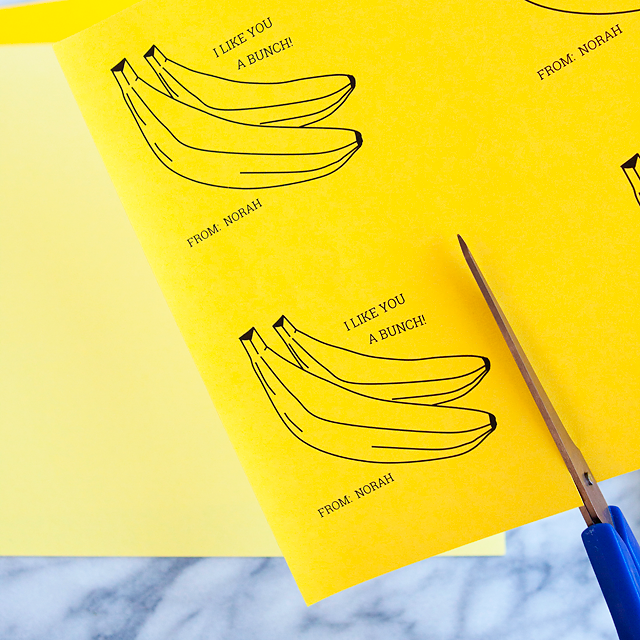 2) Cut out the Valentines. 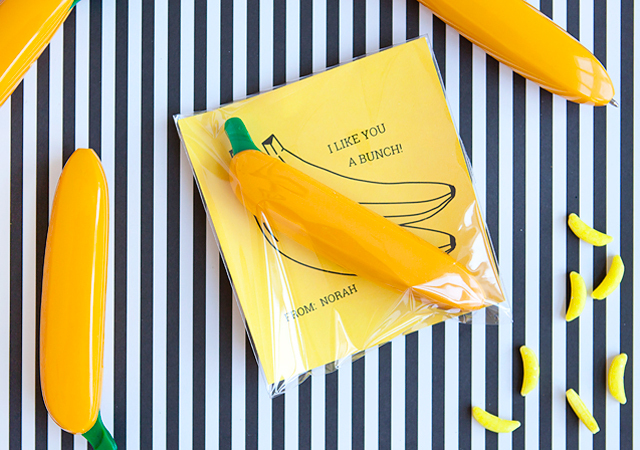 Like I said, these banana pens and candy are just adorable, but you could easily give a real banana to your Valentine, easy as that! I just love putting together class Valentine’s for my children! And, having non-candy options is always fun!